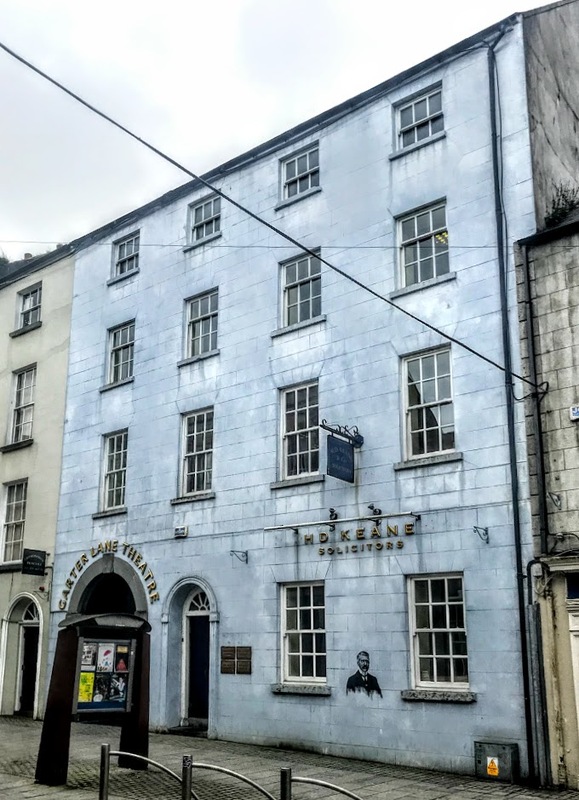 The civic, educational and business life of Waterford has been intimately linked with – and in many cases shaped by – the life of the Quaker community in the city. There was a time when Quaker spirituality and values had a deep influence on my life, shaping many of my values. During my visit to Waterford last month [March 2019], I called in to see the former Quaker meeting house on O’Connell Street, which I had known before it closed in 1973, when Waterford Meeting moved to Newtown. 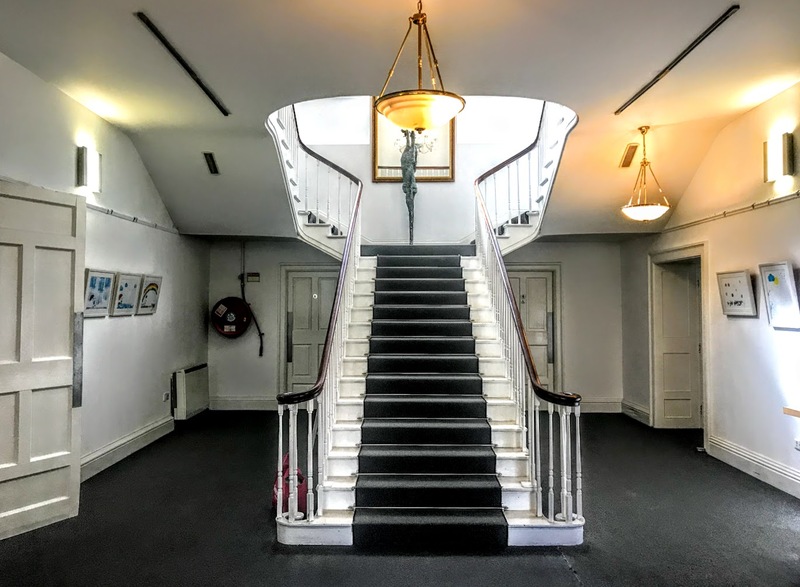 As I visited the former meeting house and other buildings associated with Quaker life in Waterford, I was surprised how many memories from my early 20s came back to mind in a heart-warming way. 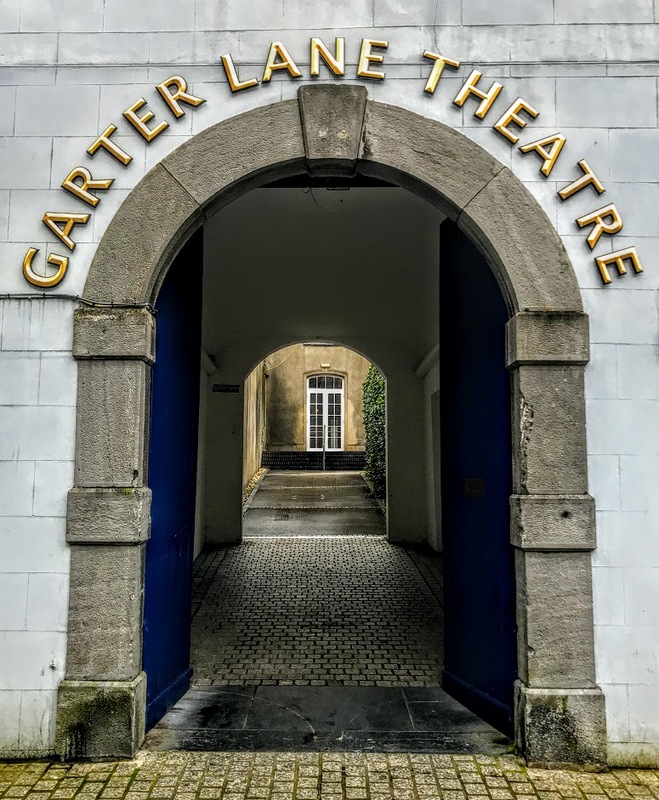 The Religious Society of Friends or Quakers have been in Ireland for more than 360 years, and Friends trace their origins back to the 1650s and time civil and political strife in England. George Fox (1624-1691) emerged as the founding figure of this new expression of Christianity, with a spiritual life that not include sacraments or other outer forms of worship. Other prominent early Quakers included George Fox’s wife, Margaret Fell, William Penn who gave his name to Pennsylvania, and the early Quaker theologian Robert Barclay. In time, many Quakers were respected for their honest dealings and plain-living, and they prospered in manufacturing, trades, banking and as merchants, so that by the 19th century Quakers were playing key roles in banking and the manufacture of shoes, biscuits and chocolate making. Quaker family names like Barclay, Lloyd, Clarke, Cadbury, Fry, and Rowntree became household names throughout these islands. In Ireland, Quakers gained respect for their honest dealings and plain living, and they prospered as manufacturers, tradesmen, bankers and merchants. Quaker families became household names in the fields of iron-making, glass-making chemicals, pharmaceuticals and banking. In Ireland, Quaker business family names included Pim, Grubb, Bewley, Lamb, Shackleton, Goff, Davis, Penrose and Jacob. Waterford Quakers included the Malcolmson family of the cotton mills in Portlaw and the Neptune shipbuilding company at Adelphi Quay. Their SS Una was the first ship to sail through the Suez Canal. 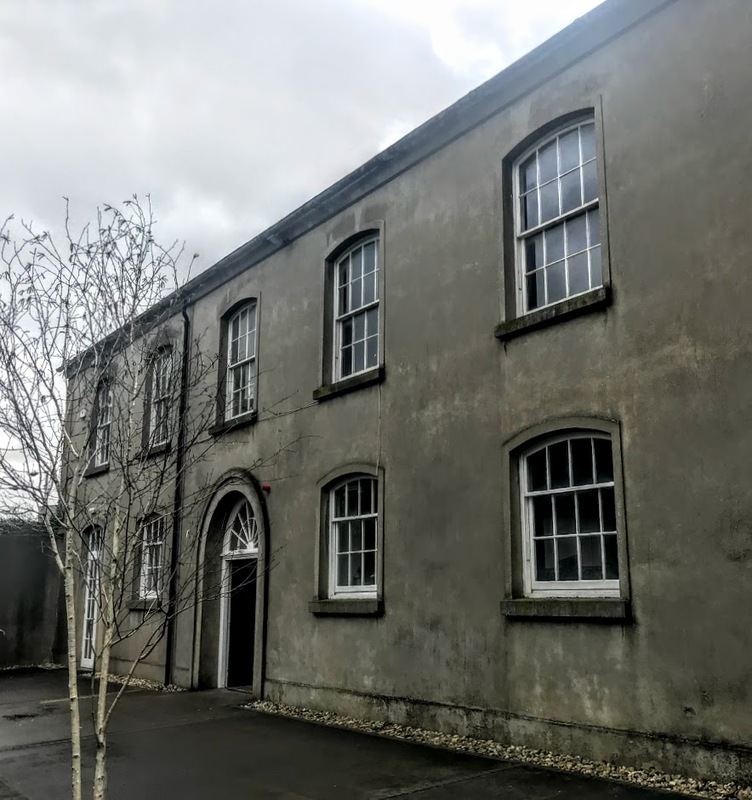 George and William Penrose family founded the Waterford glass works in 1783, producing Waterford Glass at Glass House Lane in the late 18th century. 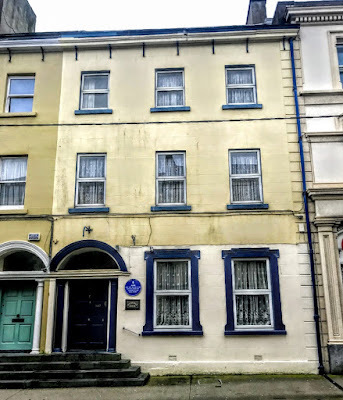 W&R Jacob founded their biscuit factory in Waterford at 33 Bridge Street, and made their first biscuits in Waterford in 1851, initially to provide food for the crews of ships in a teeming harbour. The first Quaker meeting in Waterford was in 1655 in Saint John’s Parish. By 1694, there was a Meeting House on the site of the Christian Brothers’ School in Manor Street. Newtown School was founded by Waterford Quakers over 220 years ago in 1798. A memorial at the former Quaker burial ground at John’s Lane was unveiled five years ago at the end of August 2014. The memorial, designed by architects Wigham McGrath and Partners, includes a landscaped area and an angled wall bearing the names of families buried there up to the 1950s. 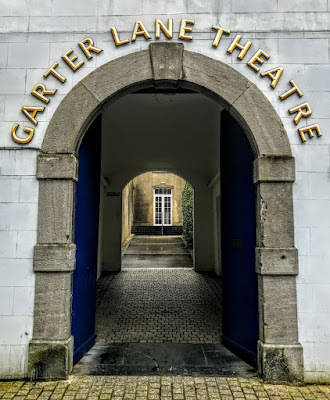 I called in to see the Garter Lane Theatre off O’Connell Street, which for many generations was the main Quaker Meeting House in Waterford. 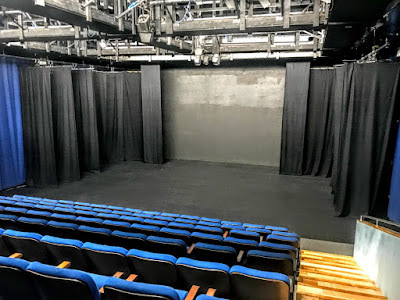 The Garter Lane Theatre is set back from O’Connell Street in own grounds. It was built as an eight-bay, two-storey Quaker meeting house ca 1790. Although it closed in 1973 when the meeting moved to Newtown, it is a reminder of the life of the Quaker community in Waterford in the late 18th century. The former meeting house was extensively renovated around 1990 for use as a theatre and an arts centre. The building still retains its original form, and many of the replacement fittings are in keeping with the integrity of the original design, including the shallow segmental-headed windows with rendered sills and surrounds, the sash windows, the round-headed door opening, timber panelled double doors, and spoked fanlight and the flight of concrete steps. 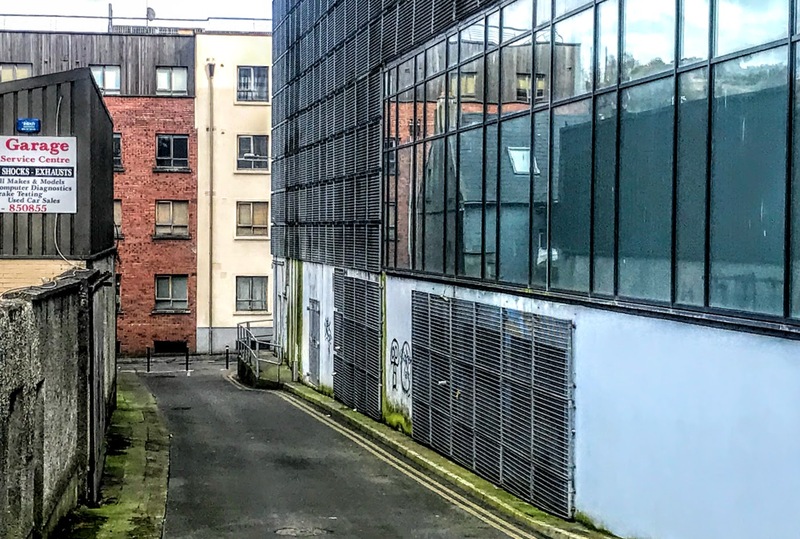 The former meeting house is approached through a round-headed carriageway at the left (west) side of No 22 O’Connell Street, a terraced four-bay four-storey house built ca 1820. This is an attractive and substantial house of balanced Georgian proportions that has been sympathetically restored, retaining its original form. The house is distinguished by this carriageway, incorporating a fine cut-limestone surround. 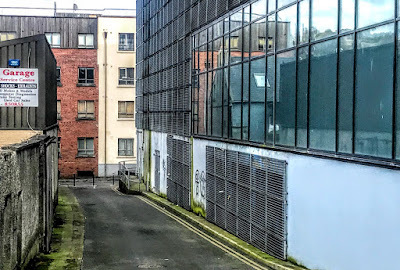 Further east along this street, No 3 O’Connell Street, now known as O’Connell House, was the townhouse of the Jacob family. This is a terraced, three-bay, three-storey house with a dormer attic. It was renovated ca 1990 for use as a guesthouse, but it retains most of its original form and some of its original character. 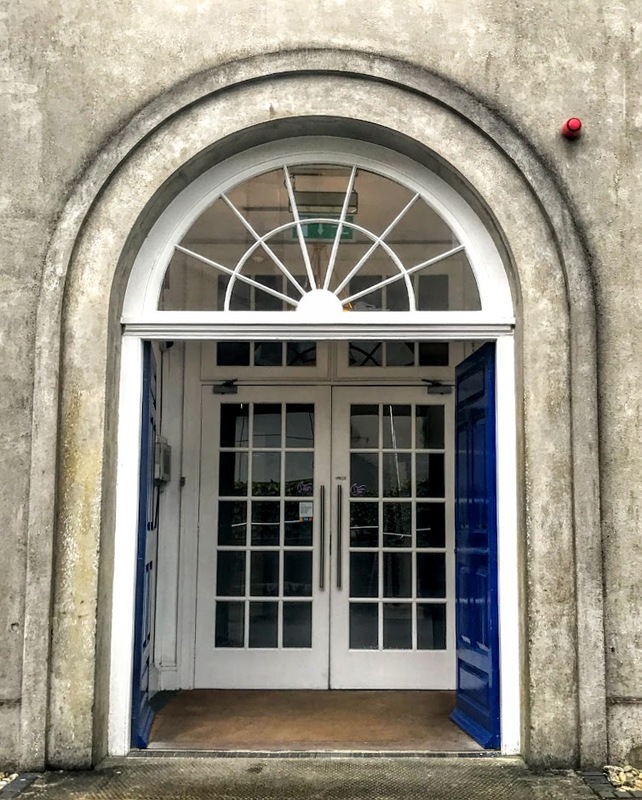 The architectural features of this house include a segmental-headed door opening approached by a shared flight of four cut-limestone, a cut-stone engaged Doric doorcase, a timber panelled door, an overlight with a moulded rendered surround, and subtle render façade enrichments. This house, with the house next door, is an integral part of the streetscape of O’Connell Street, Waterford, forming part of a group of classically-inspired 18th century townhouses and providing another reminder of the contribution of Quakers to the life of Waterford.